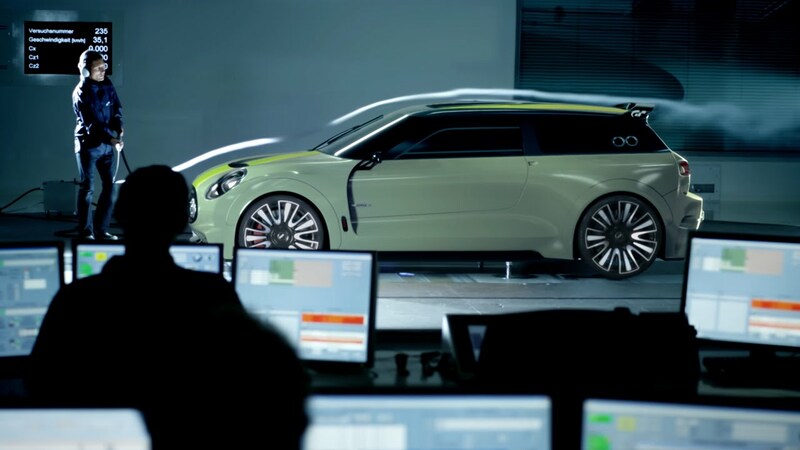 The “MINI Clubman Vision Gran Turismo” has been released on "Gran Turismo 6", available exclusively on PlayStation®3. This is a race spec Clubman that does 0-62 mph in just 3.5 Seconds, with a top speed of 180 mph. After Update 1.16 has been installed, the car can be purchased from the [Vision GT] area within the [CARS] section in "My Home" (here, you can also find the car's presentation movie). Alternatively, it is also possible to obtain the car by completing a lap (regardless of the lap time) in the new Seasonal Event, available only for a limited time. Inspired by the legendary motor sport successes of the brand, the MINI design team created the MINI Clubman Vision Gran Turismo: the essence of a MINI for total racing. The 395 PS (389 BHP) drive accelerates the lightweight 1050kg of the MINI Clubman Vision Gran Turismo from 0 to 62 mph in a mere 3.5 seconds. The permanent 4WD and 6-speed sequential transmission with race gearbox guarantee optimum power transmission. The McPherson dampers in the front and HA3 dampers at the rear are both fully adjustable and ensure perfect adherence in any situation. This Clubman can achieve a top speed of up to 180 mph, depending on the gear ratio (specific for each race track). The characteristic silhouette of the MINI Clubman Vision Gran Turismo lies flat on the road, and the wheels are positioned far outside the body to allow the car to handle like a go-kart. Adjustable carbon diffusers in the front and rear and large vents behind the wheel arches regulate the airflow for cooling the engine and brakes. The split rear spoiler and fully enclosed underbody enhance the sophisticated aerodynamics. MINI design features such as the flat, hexagonal front grill, elliptical headlights with implied racing-design stickers, and rally stripes on the bonnet and roof demonstrate the clear motor racing sport orientation of the MINI Clubman Vision Gran Turismo. Quick release hinges on the bonnet and tank and the small sliding window on the side add the perfect finishing touches to the classic appearance of the MINI Clubman Vision Gran Turismo.